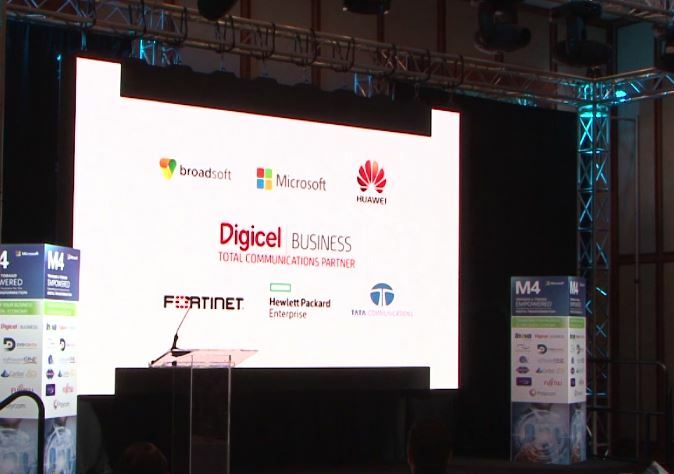 As part of its drive to empower organisations and citizens in Trinidad and Tobago to achieve more, Microsoft hosted the M4 Conference on Tuesday at the Trinidad Hilton and Conference Centre. The M4 Conference featured international Microsoft speakers as well as presentations by local and regional Microsoft Partners who highlighted how Microsoft is helping to advance the path toward digital transformation. The event was part of Microsoft's investment in the region and enabled clients to understand the cloud solutions that empower and transform businesses. For most local business leaders, digital transformation is a top priority, and Microsoft, through its creation of a more personal computing and reinventing productivity and business processes via the intelligent cloud platform, is a key player in this revolution. Speakers at the M4 Conference included regional leaders and industry stalwarts such as Francis Correia, Country Manager, Microsoft Trinidad and Tobago; Luiz Marcelo Marrey Moncau, General Manager, Microsoft LATAM New Markets, and the Honourable Minister Melford Nicholas, Minister of Information, Broadcasting and Telecommunications, Antigua and Barbuda. Presentations were focused on both the private and public sector, with topics on "Accelerating Digital Transformation with the Power of Cloud Services"; "Sales in the Modern Era"; Digital Government--Transforming Government for Greater Impact and Outcomes"; and "Transformation Through a Connected World". With businesses throughout Latin America and the Caribbean facing disruption in multiple forms, the trend to embrace digital operations which can equip organisations with a significant competitive advantage if rising. Leading companies and agencies in the region have adopted the Microsoft cloud to support their transformation to digital, and Microsoft aims to support more and more businesses. Through its secure solutions and services, the organisation continues to create greater opportunities for monetization of information assets, business optimisation and increased possibilities in competitive markets. Frances Correia, Country Manager, Microsoft Trinidad and Tobago, noted that the M4 Conference was a prime opportunity for business leaders to explore new possibilities for their organisations. "Businesses are facing a challenging market environment, and what they learn at the M4 Conference can make a tremendous impact on their operational advancement," she remarked. "From learning how to transform customer experience, empower their employees, optimise operations and transform products all through the flexibility and security of Microsoft's cloud and software solutions, participants of the M4 Conference are engaging in the innovations which can help their businesses really thrive and change the world".